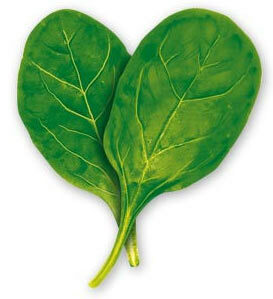 Spinach is one of the healthiest things you could eat! It’s bursting with green goodness. Now it’s not much to look at really – like a leaf but it tastes much better than we imagine the average leaf from a tree would! And definitely healthier: according to Wikipedia spinach has the following good stuff in it: vitamin A, vitamin C, vitamin E, vitamin K, magnesium, manganese, folate, betaine, iron, vitamin B2, calcium, potassium, vitamin B6, folic acid, copper, protein, phosphorus, zinc, niacin, selenium and omega-3 fatty acids) it’s practically a multi-vitamin in a leaf! 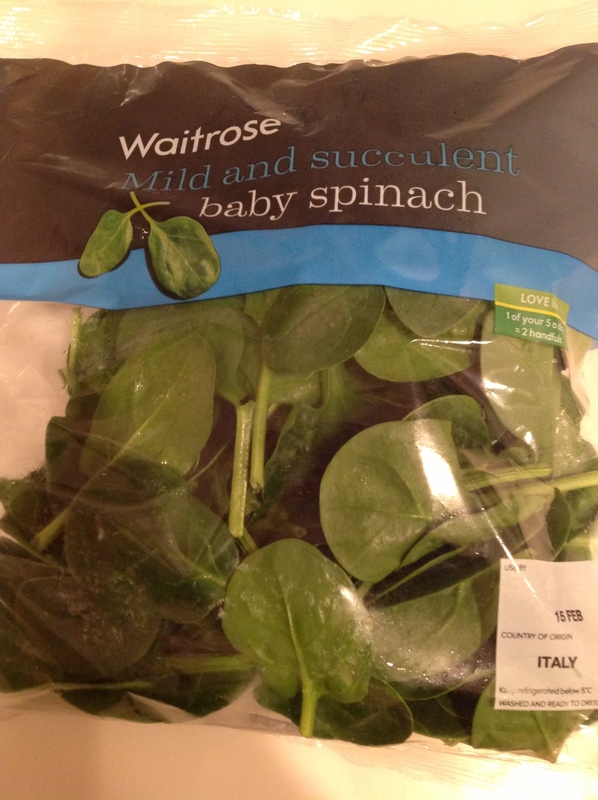 You can eat spinach raw or cooked and you’ll find both baby spinach and normal spinach in the shops – the difference? Nope, baby spinach isn’t only for babies, it just means the leaves are smaller because they haven’t grown so much yet. Spinach is sold in the vegetables section of the supermarket in quite large bags…you might well wonder how you’ll fit such a huge amount into your meal…which brings us to.. THE INCREDIBLE SHRINKING SPINACH ACT! 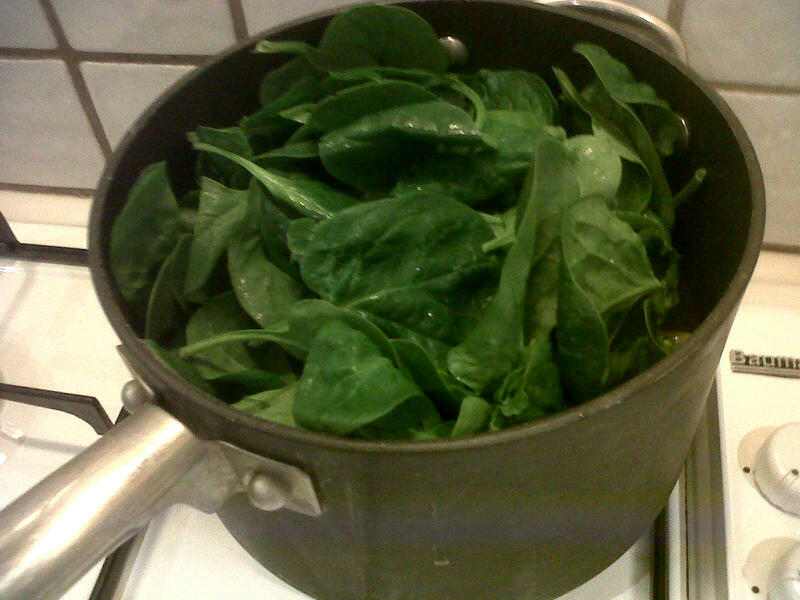 There’s a funny thing that happens to spinach when you cook it. It’s a bit like magic really. Remember that you will gain another FAB FUN FOOD CLUB point for trying spinach (our fourth food!) Have you got your mum and dad to make you a reward chart for all this yet? If not, you could make one yourself! Sometimes spinach is served as a vegetable, pretty much on its own or maybe creamed (with cream added to it) with a main meal. Other times it’s used as an ingredient in all sorts of dishes. It’s very popular in Italian cooking, but also in Asian meals too. Chop the onion into smallish pieces. Add to a large pan and fry over a medium heat for about five minutes until soft but not browned. Add the garlic and fry for another minute, then throw in the chopped up broccoli and pour in the stock. Simmer all this for about 10 minutes then add the spinach too (it’ll probably fill the pan!). Simmer for a further five to 10 minutes – you want the broccoli to be tender if you prod it with a fork. Then use a blender to smooth it down. We use a stick type blender in the pan as this saves on the washing up and potential spillages with transferring the soup from the pan to a proper blender jug! Serve in warm bowls adding about a good splodge of cream or creme fraiche to each bowl – diners can stir this in to make their soup creamy. Remember nothing ventured nothing gained is our motto at FFF. If you don’t like it, you won’t have lost anything. Luca’s grandpa has the easiest recipe for pancakes in the world…we guarantee (well, almost) that it won’t fail you come Shrove Tuesday (Feb 12th this year). Add a third of a pint of milk to a mixing jug (we usually use semi-skimmed – I’d avoid skimmed. Full fat would be okay too). Then find a standard size tea or coffee mug. Fill it half full with plain flour. Add that to the jug where the milk and egg is. Whisk thoroughly. 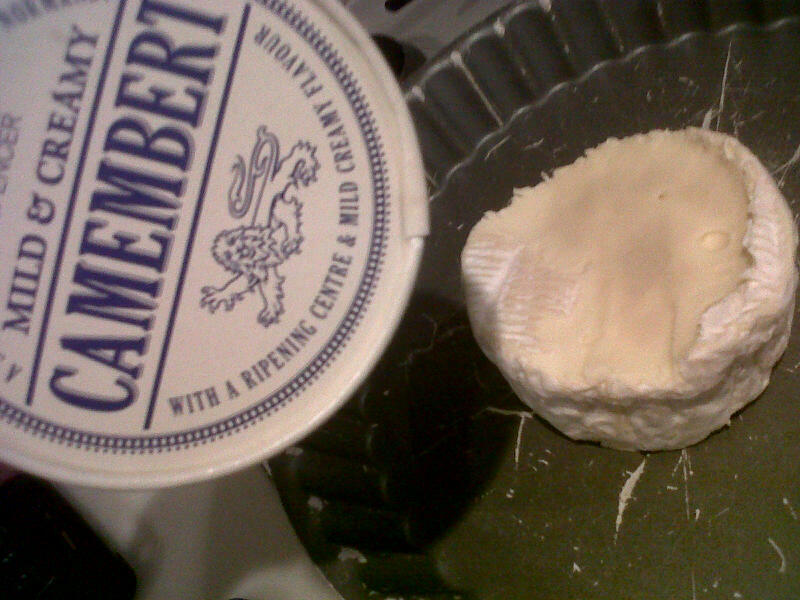 It should be the consistency of double cream. 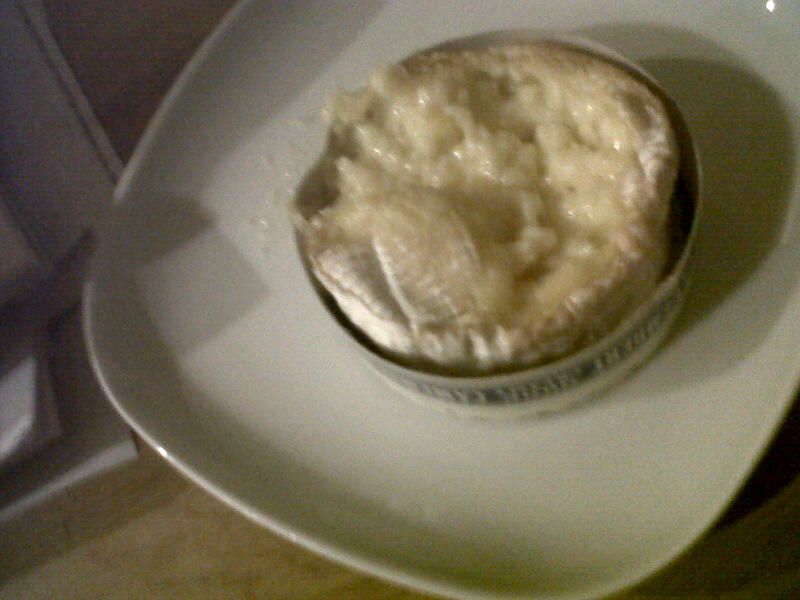 If it’s slightly too runny, add about a tablespoon of extra flour. Too runny pancake mixture will stick to the pan. More photos to follow on Tuesday from us! 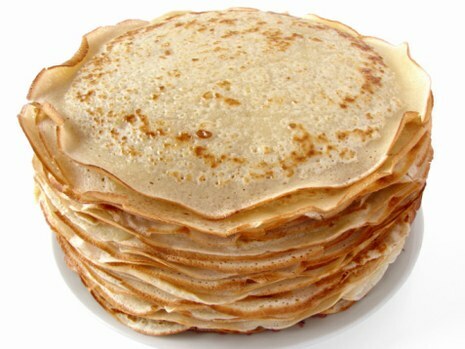 We’d love to know what your favourite pancake topping is…ours are Nutella or Golden Syrup! Coming up next…it’s green, it’s incredibly good for you, it’s Popeye’s favourite: bring on the spinach! Watch out for our superb spinachy info and recipes in the next few days. 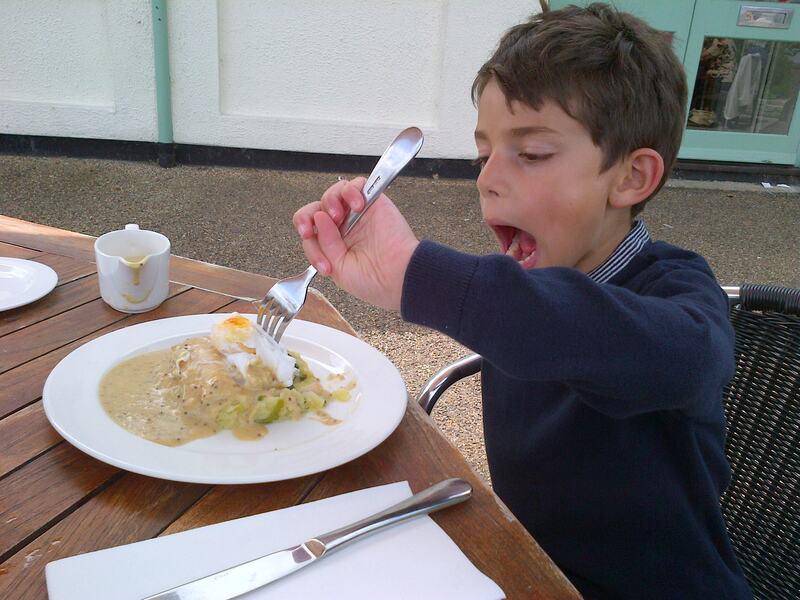 Restaurants: no more fish fingers/ chicken nuggets/ burger only kids’ menus please! 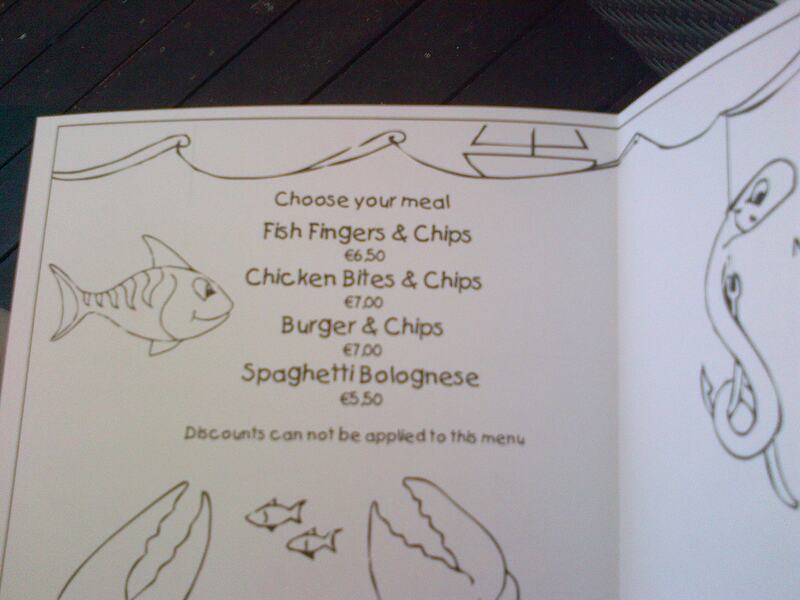 Look, we all like these foods occasionally (hey a fish finger sandwich smothered in ketchup and with a slither of melted cheese on top, is hard to beat) BUT if we see another kids’ menu in a restaurant which reads something like the following, we will run off screaming towards the nearest supermarket and just go home and make our own dinner thank you very much. Adventurous young eaters clearly not welcome here then. Now fair enough, it’s great if you’re say, two years old, and we can see the need for a few plainer options for some children but hang on a minute, restauranteurs of the world, it’s a little patronising to assume this is all any kid wants and it’s a lot boring. It makes us do a great big foodie YAWN. Fine, yes have a few simple meals and some stuff for our tiddly toddler brothers and sisters but please can we have more interesting meals too? If your mum and dad are tucking into fantastic food and enjoying it, not all children want to sit there with a plate of nuggets and chips for company thanks. So the solution? Go back to the old days when most chefs were happy to knock up a half portion of a selection of more grown-up meals. We know this isn’t going to work with a few things that are probably bought in in set sizes (as in 8oz steaks) but we bet there’s lots of stuff you can do it with. Go on chefs of Britain! Help us be more adventurous! These fruity beauties are a huge favourite in the FFF household. We have a few friends and relatives who live in India and Dolly used to wonder why on earth they would cart a huge crate of mangoes all the way to the UK using their already struggling luggage allowance for the flight. Then she tried them and it all became clear. Tropical tastiness! Velvety fruitiness! As a fruit, you’ve guessed it, you’ll find them in the fruit and veg section of the supermarket. Be careful when choosing one because if the mango is hard it won’t be ready to eat immediately which will mean you have to delay trying them and therefore wait for your next FFF points! Your ideal mango should be very slightly squashy when you press it on the outside. 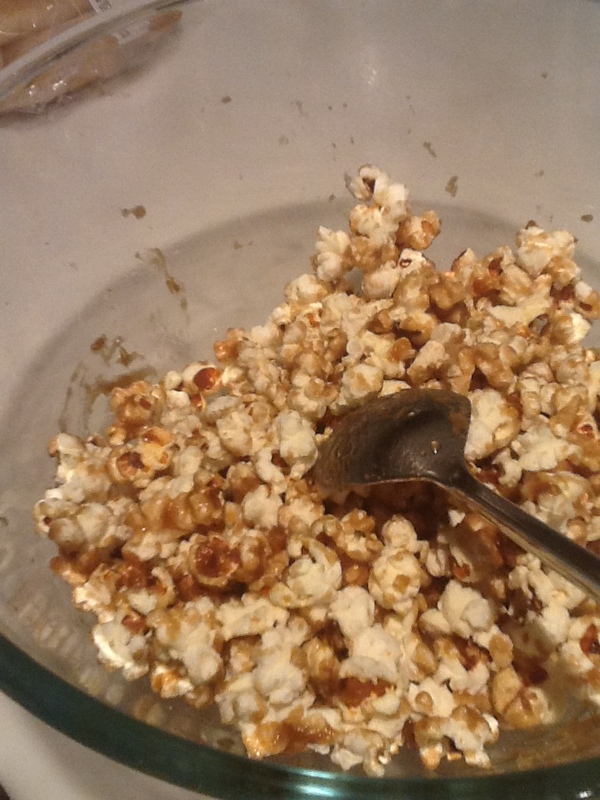 You will gain another FAB FUN FOOD CLUB point for trying them! (We’ll tell you more about this soon but the more foods you try, the more points you’ll get and this will work towards certificates your parents can print for you). Mainly an ingredient in puddings, they also make a super snack and sometimes get used in salads and main courses. Very, very easy to make. This one might take just a few minutes. Remember nothing ventured nothing gained is our motto at FFF. If you don’t like them, you won’t have lost anything.